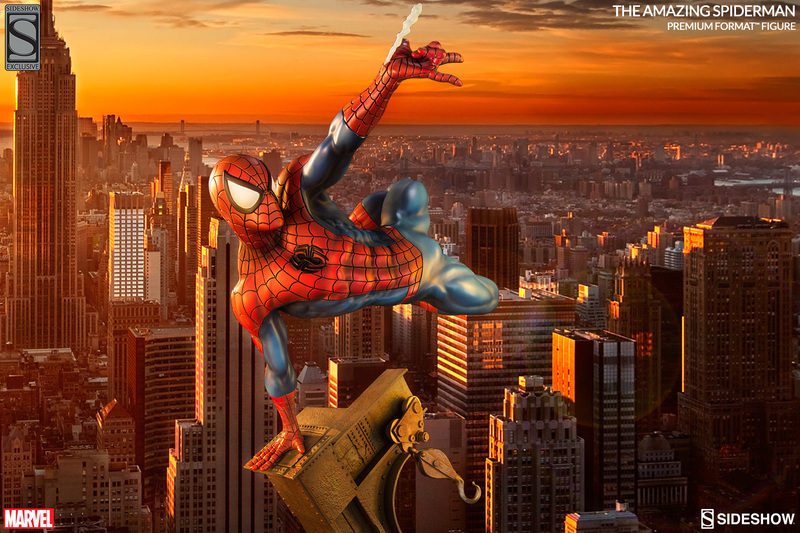 The best Spider-man statue period! This statue has it all. 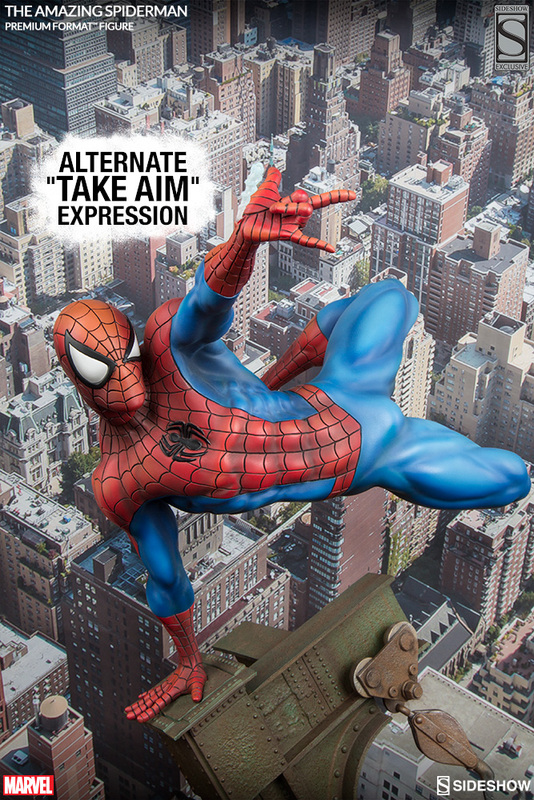 From the pose to the paint finish. 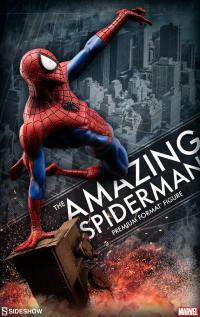 If you like Spider-man it's a must own. WITH OR WITHOUT THE WEB STILL ONE OF THE BEST SPIDERMAN STATUES!!! Amazing! Just added him to my collection and he is awesome! Such a sweet pose. 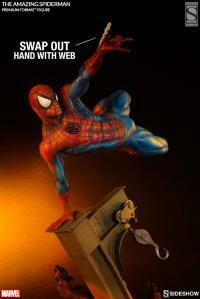 This is one awesome spiderman statue, a must have for all Spidey Fans. Took me a while and a lot of convincing to start up a new collection but I absolutely love this piece. The size and pose is amazing. Im officially hooked and looking forward to the pre orders to arrive as well. Amazing! Just added him to my collection and he is awesome! Such a sweet pose . Cant decide what I love more the statue or the box he came In! Sideshow keep em coming! 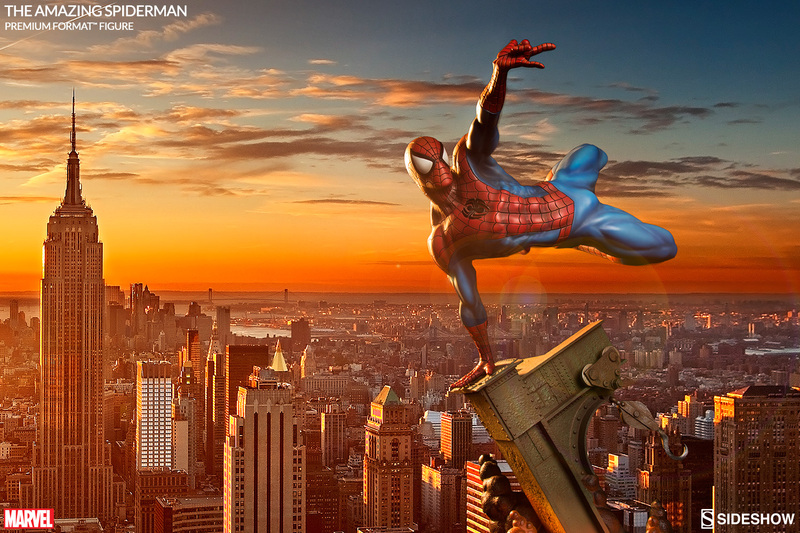 This Spider-Man is absolutely stunning. I've had him for a few days now and am finding new things I didn't notice before. He is my first Sideshow piece and he will not be my last. He is incredibly detailed and a fantastic piece to any Spidey-Fan's collection. You guys just do not disappoint me! This piece is truly a piece of art! Amazing Sideshow!! 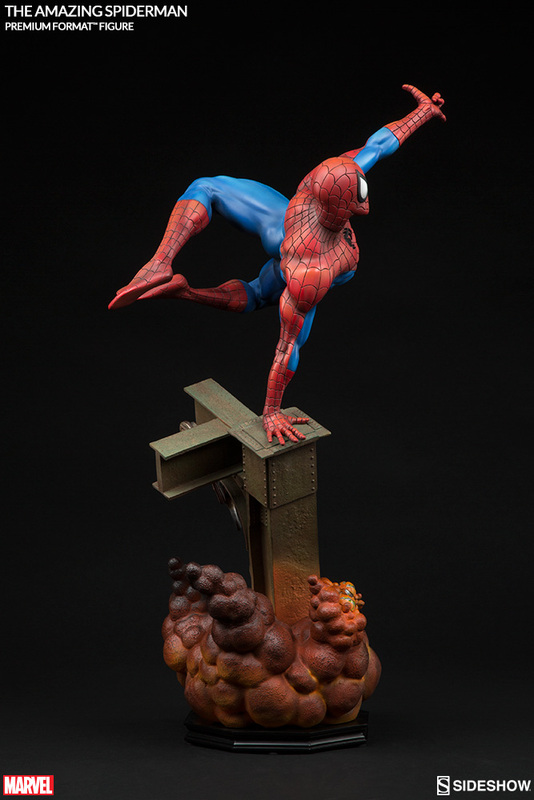 This is the best Spidey statue out, hands down! This is simply magnificent! I love the feeling of movement with this sculpture. 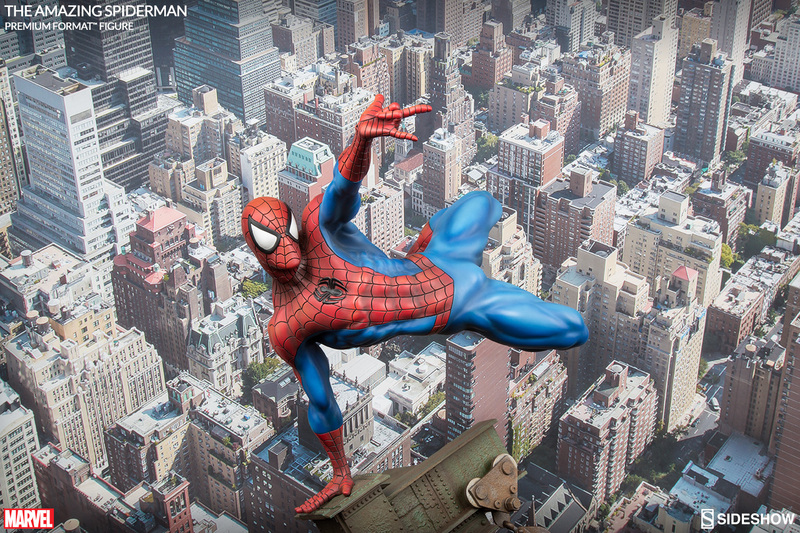 You can just feel Spidey is about to swing! Great job, Sideshow! This is an expensive addiction! 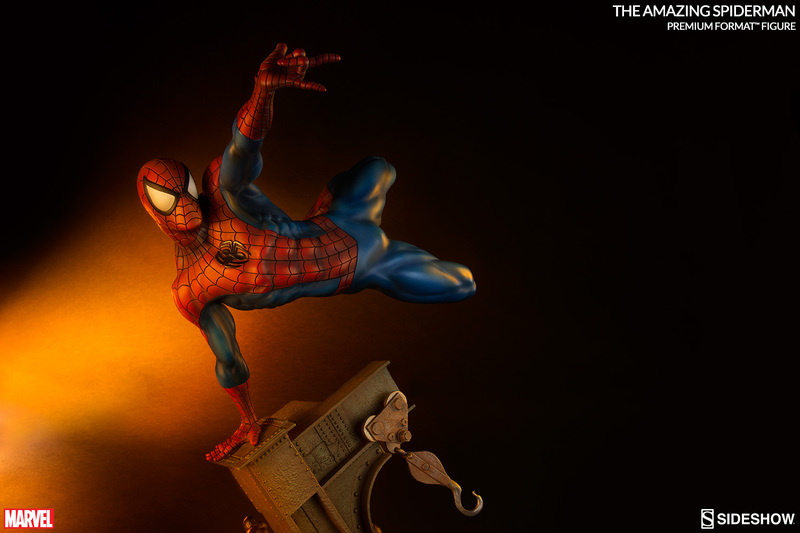 But ultimate piece for Spidey fans! 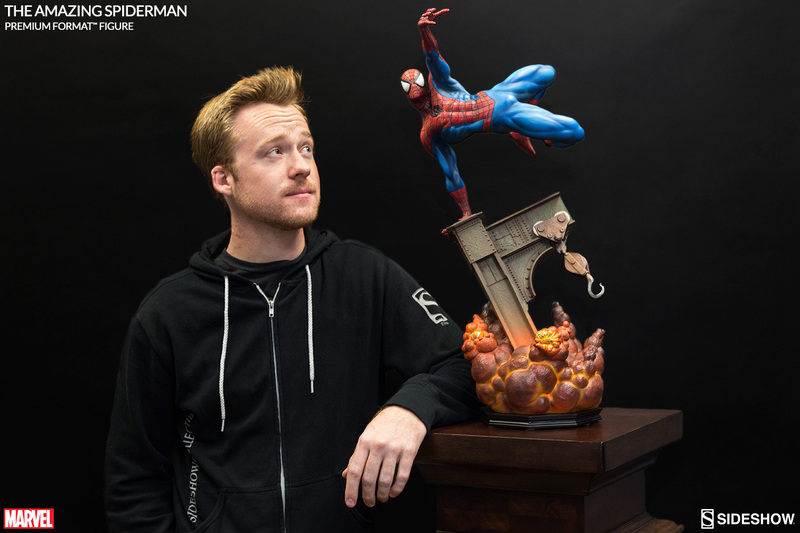 I received this amazing statue and I was very pleased to see how beautiful it is. 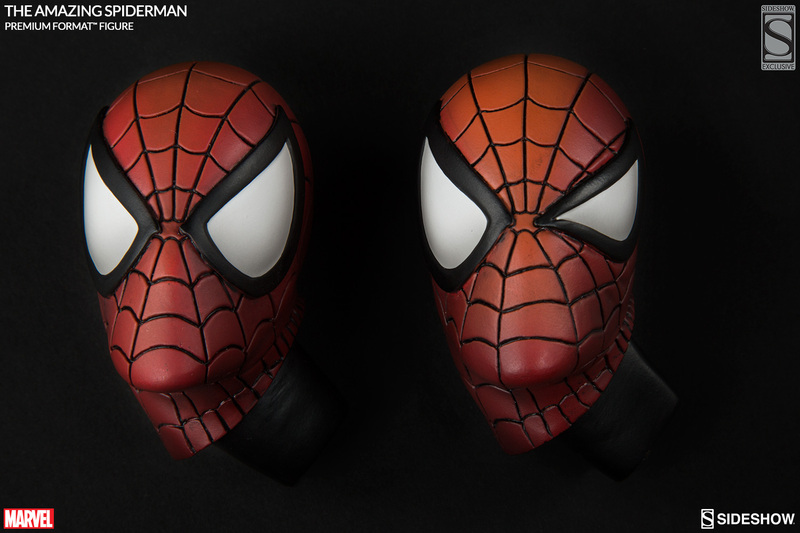 It's perfect, from the paint to the sculpt. I couldn't be happier. 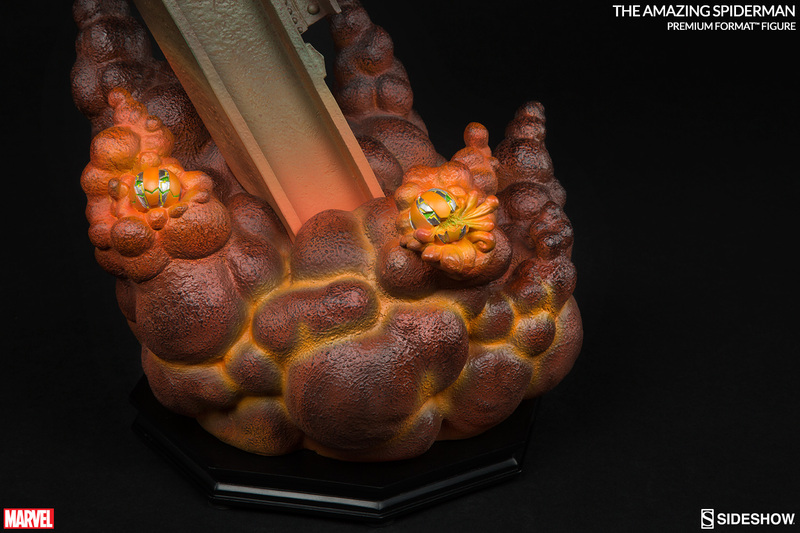 I strongly recommend this statue. I just received this piece and couldn't be more pleased. The colors are incredibly vivid and expertly shaded. The pose is one of the most creative I've ever seen as well. Highly recommended! This piece came perfect! The box had a small dent in it.. which I am sure is not Sideshow's fault but the deliverer's fault. However with the packaging, nothing was damaged at all. The statue is wonderful! A little larger than I thought, and barely fits on my shelf I had chosen! But that's ok! 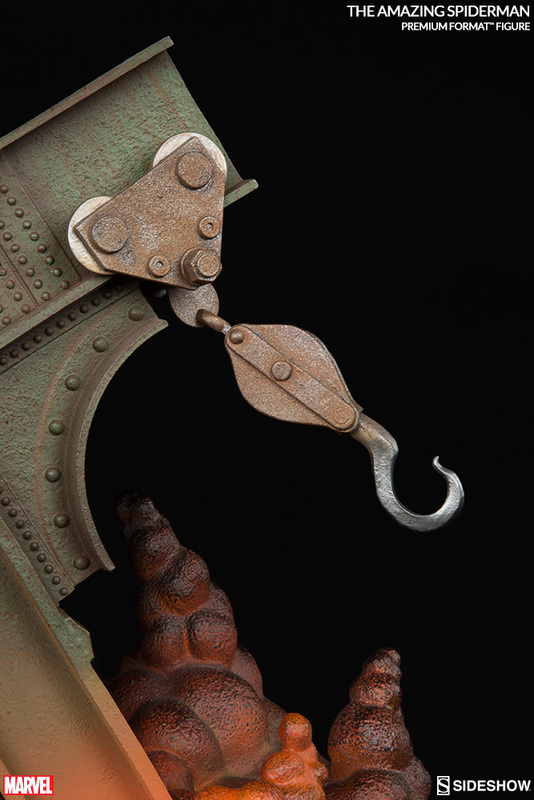 This is an absolutely amazing ss piece , my new favourite in my collection. It's hard as a Canadian buyer to afford these as our government feels they need my money but I will try to afford more of them . 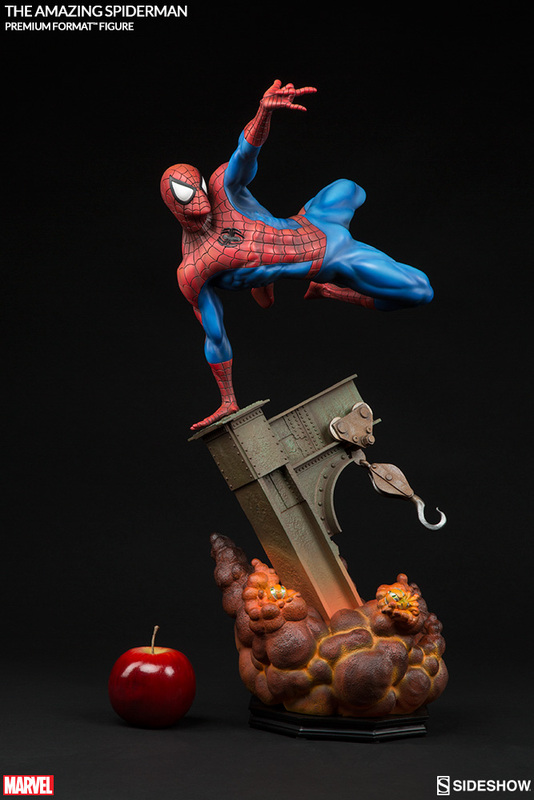 I've purchased many Sideshow pieces and this is the finest piece I've ever owned. The pose and the paint color are outstanding. This and my Jason PFF will never leave my condo! 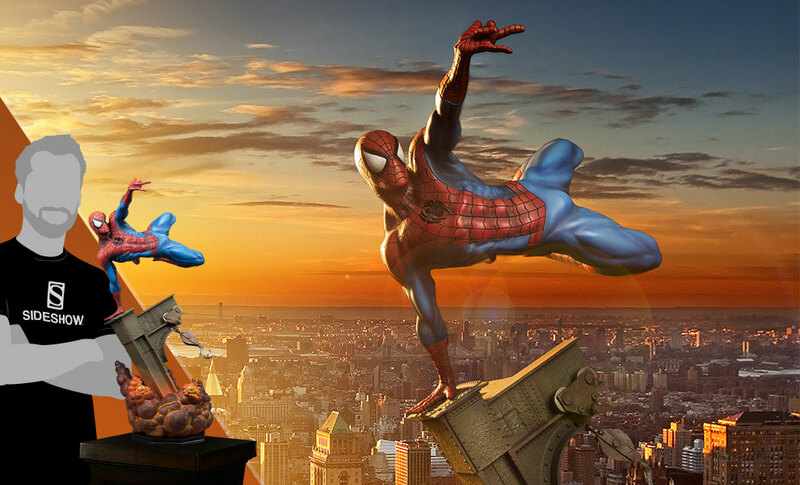 Love the Spiderman statue. Hope SS will produce a Museum style Spiderman Statue. Would love that. The only thing better than getting this AMAZING ART is already having the Exclusive and Symbiote Spiderman ART for this collection. It gets even better, I'm receiving my pair of Green Goblins soon. Bring on my Black Cat Exclusive. 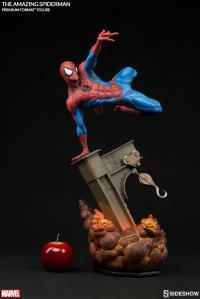 Can't wait to pre-order Venon and Carnage. 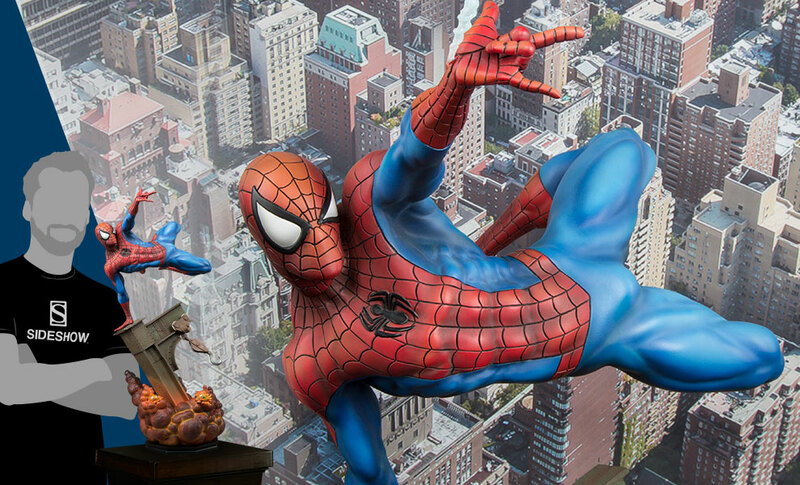 Wow, amazing statue! So glad I bought him. 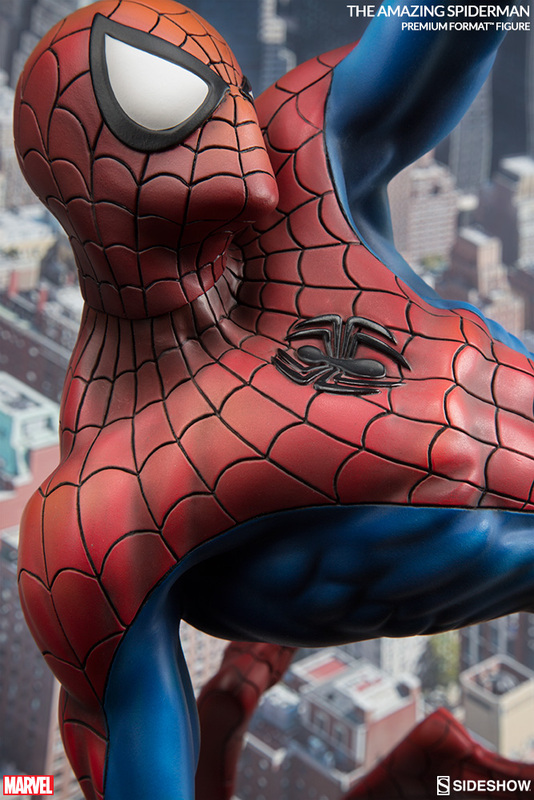 I grew up reading the Spidey comics and this statue honestly looks like it jumped right out of the pages of the comics. 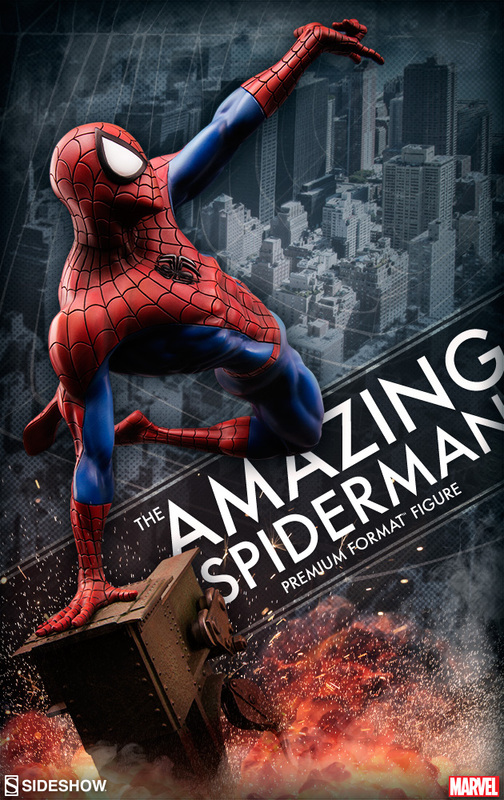 I love the dynamic pose. 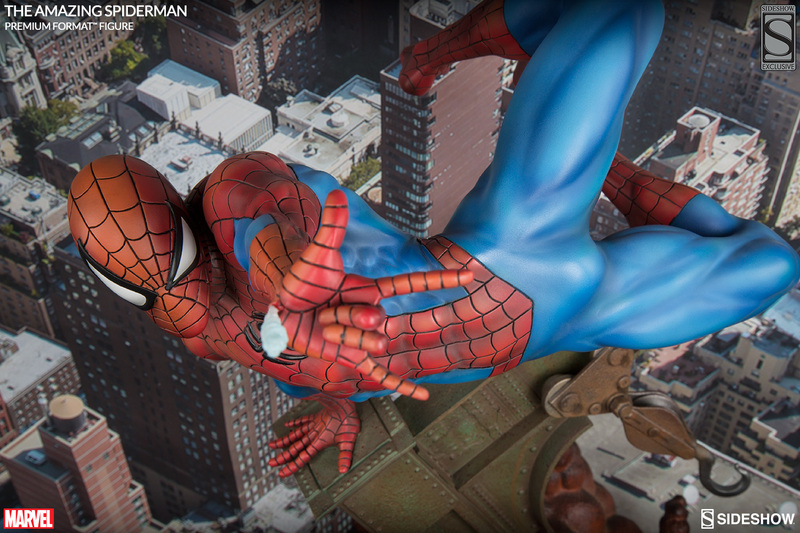 Awesome work Sideshow! 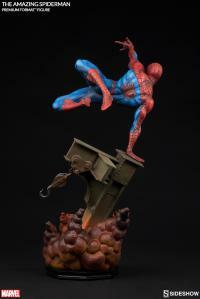 ecieved mine today and as a major spidey fan I am blown away by this piece!! 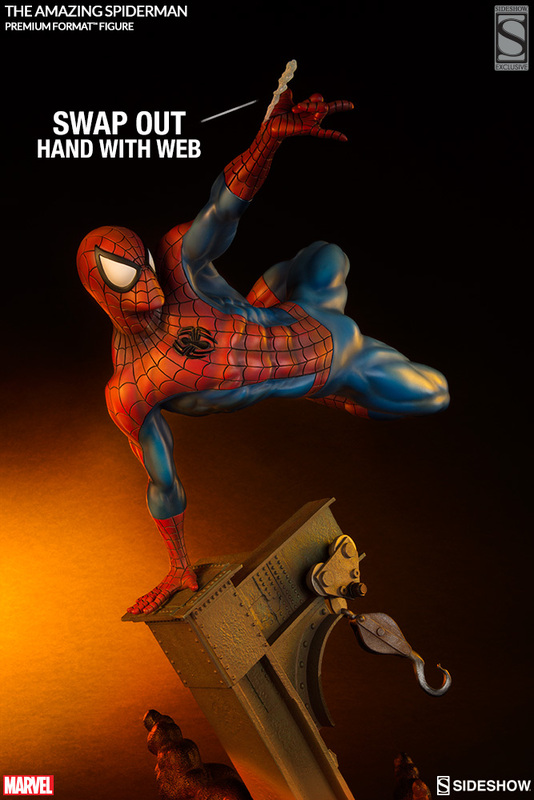 Definitely the highlight of my collection, I would recommend this to any wall-crawler fanatic.